A year and half ahead of the 2018 general elections, the poor and working people of Zimbabwe are up in arms against President Robert Gabriel Mugabe and his ZANU-PF regime which has been in power for 36 years. 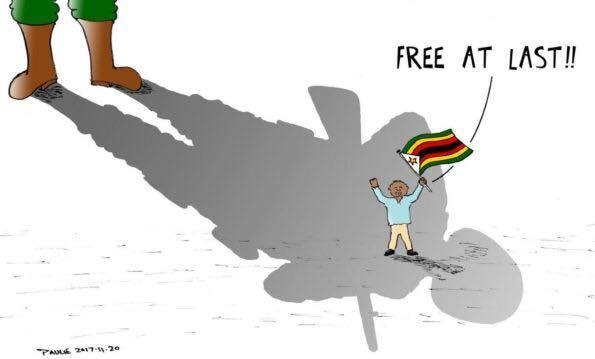 In the last 3 months Zimbabwe has been shaken by protest actions of workers, informal traders, commuter omnibus operators, and unemployed youths. These actions have occurred at a time when the country is experiencing a liquidity crisis and the ruling party structures are crumbling from within as liberation war veterans, once Mugabe’s staunch loyalists, break ranks from the regime. Meanwhile, the opposition political parties (a myriad of MDC splinter groups and two ZANU-PF splinter groups) are in talks to form a coalition party. The regime has since stepped up its repressive measures in a bid to squash dissent.